About to retire? 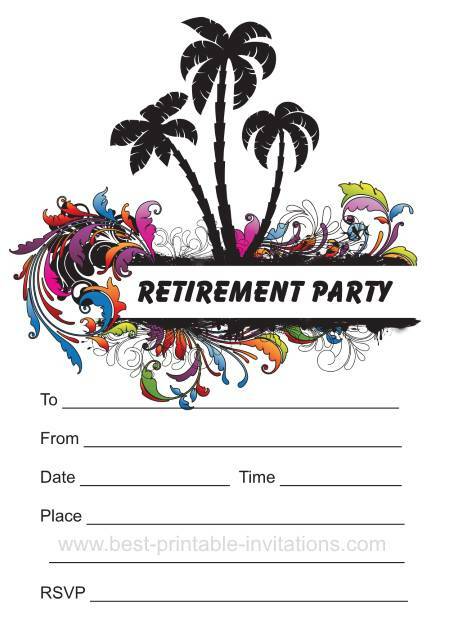 Invite your guests to your 'leaving do' with these fabulous retirement party invitations. 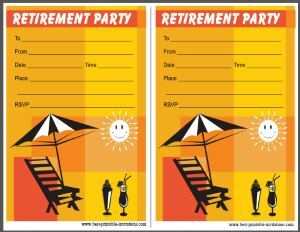 I have several different designs for retirement and leaving celebrations. 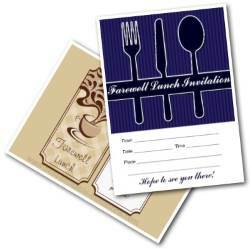 Whether you are having a formal get-together or an informal bash, these invites are a great way to invite everyone. Free and easy to print! You don't need to sign up or jump through hoops. Just find the one you like best, and print it out. 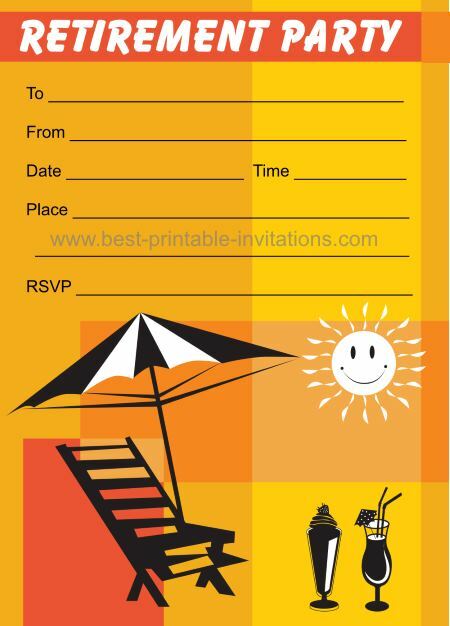 Lovely and bright, it features a deck-chair, some drinks and a bright sun. Now, doesn't that put you in the mood for retiring! Another great way to invoke the restful time you have ahead of you! 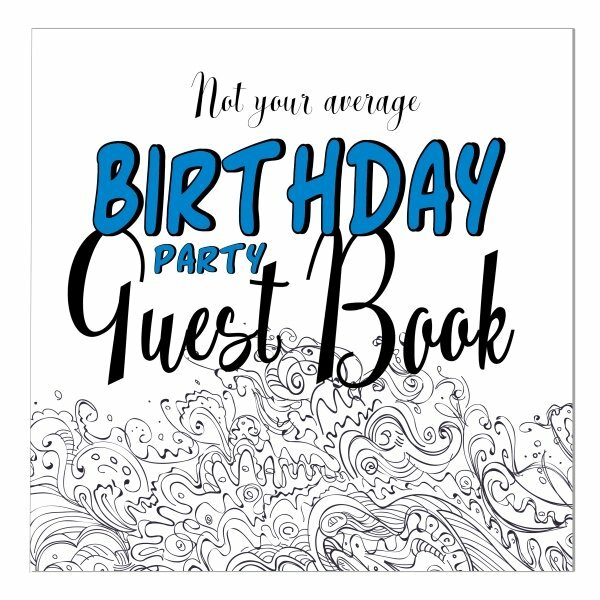 This design features several palm trees, and a fabulous swirly pattern. 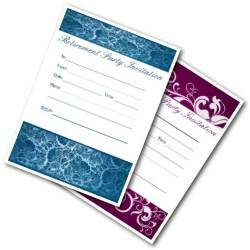 Prints two invitations per page. 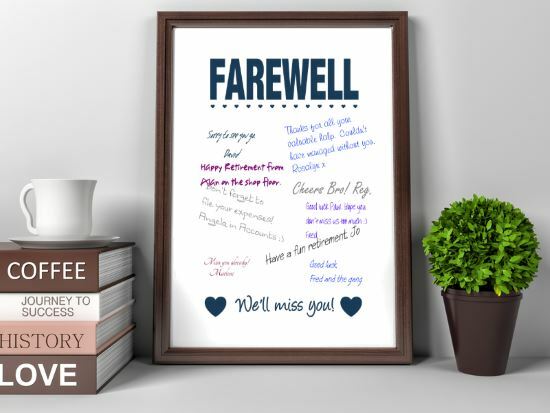 This printable retirement gift idea makes the perfect stylish gift for colleagues or teachers. A lovely change from the standard card. Many congratulations on your retirement. 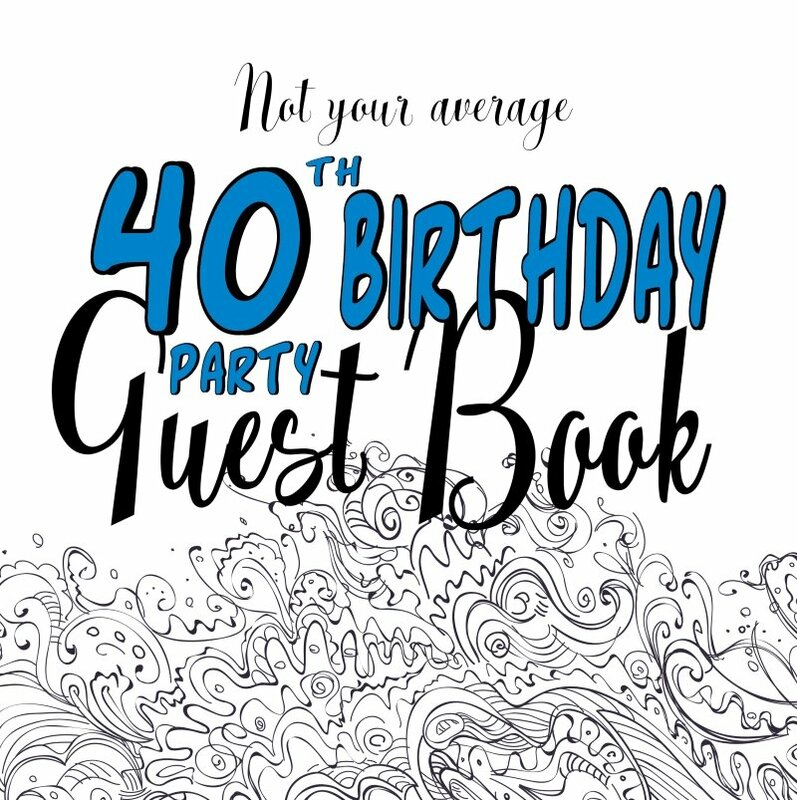 I know it is a big time in many people's lives, and it is certainly a cause for celebration! 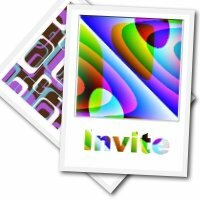 I hope these invitations give you a great way to invite your guests. I say this a lot(!) 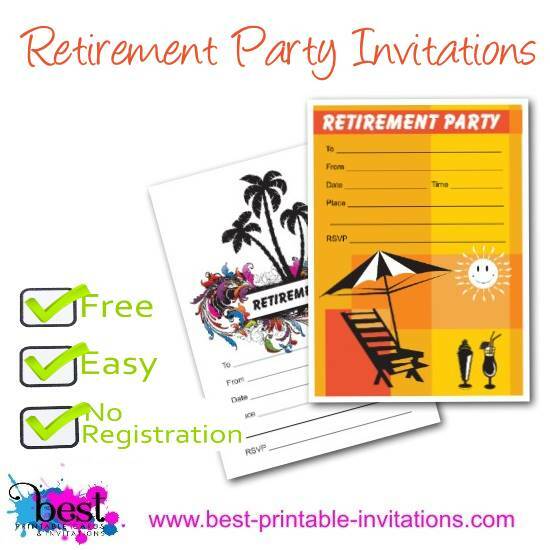 but just because you are retiring doesn't mean you have to follow the crowd and have a 'normal' party. Go wild, and do something that will really have meaning to you. What would you love to do? How would you really like to launch this new stage of your life? It doesn't have to be expensive. 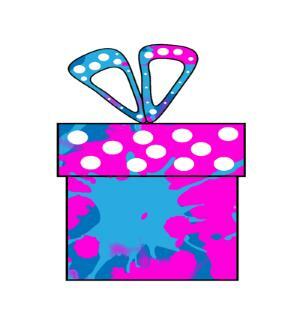 You could incorporate a hobby or interest into the theme. Or have the sort of party you always wanted when you were 18! 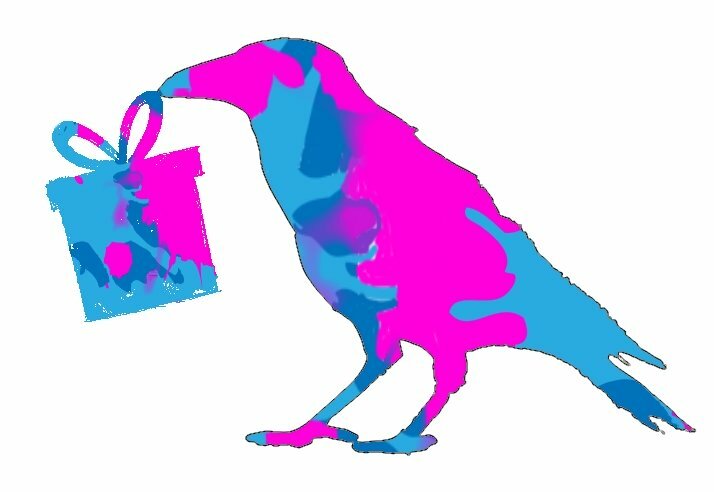 If retirement is something that is a little scary for you, then I really recommend you check out my friend's website. Babyboomers Retiring is full of really useful information to really help you make the most of, and get what you want, from being of retirement age. 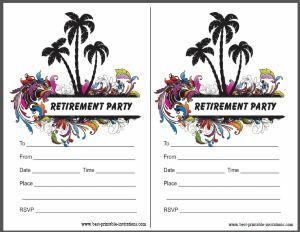 Tell me about your retirement party - what did you decide to do to launch yourself into your new life? I would love you to leave a comment below and let me know.